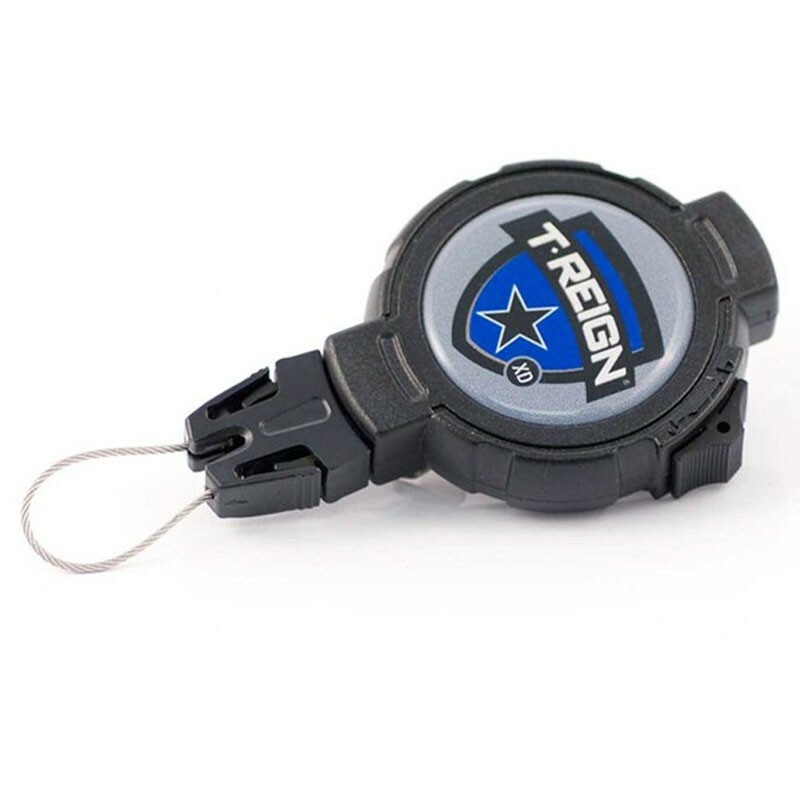 T-Reign Retractor XD Large BLack Clip. Secures your trusted tools, gear & electronic devices easily. Tough polycarbonate case for durability. 900mm High strength. Kevlar cord for quiet & smooth operation. Cord locking system allows use at desired length. 397g retraction force. Quick release end fitting to release or change your gear. Spring clip fixing clips easily to belt or bag.